More suave than Bond and just as death-proof, brainy, and with a touch more brawn, Bill Lane of the National Security Agency (Kilo Option, 1996, etc.) once more takes on ex-KGB assassin Valeri Yernin (“the Surgeon”), who’s less dead than was once thought. The Barents Sea is the graveyard of Russian nuclear reactors and ships no longer serviceable. But when a Romeo-class diesel-electric sub is —accidentally— scuttled there with no survivors yet actually seems to be on its way to Morocco for sale to Sierra Leone—or perhaps to a country even closer to the US—Lane attempts to divert the sale and offers a Russian diplomat in Washington twice the price suggested by the enemy. 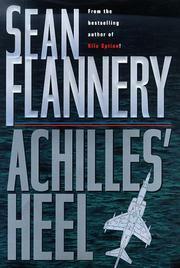 Yernin, meanwhile, vows to kill Lane, knowing that his Achilles— heel is Lane’s fellow spy and fiancÇe Francis Shipley, a lieutenant commander in the British Navy and liaison between the SIS and CIA intelligence communities. Disguised as Vandemeer, a South African with a letter of credit for 100 million pounds sterling, Lane flies to London and dickers with the Russians. Yernin arrives as well. Is the assassin now finding Russians who have illegally salted money away in offshore banks, killing them, then draining their accounts? Lane himself has an $8 million inheritance, which keeps him in fawn-colored, hand-tailored Italian silk suits, HÇrmes ties, cashmere sweaters, Gucci loafers—or hand-sewn half boots—and the best Dom Perignon, with Francis telling him, “My God, you’re gorgeous.— Yernin bungles his first attack on Lane and Francis. A second attempted assassination also fails. Then Yernin kidnaps Francis and flies her off to the Western Sahara, straps a Semtex bomb to her leg, and awaits the arrival of Lane. Fast and amusing. If Flannery (a.k.a. David Hagberg) has any luck, his hero could rise to the top as a Bond clone.